Who doesn’t love taking naps? Do you know anyone who doesn’t? For our part, we don’t know anyone who would say “I don’t” to our question. Afternoon naps are something we all cherish and deserve, right?! However, most of the times, our cell phone doesn’t let us do that. Every time we close our eyes, we get a notification. And let’s not kid anyone, you can’t peacefully take a nap without checking THAT notification. 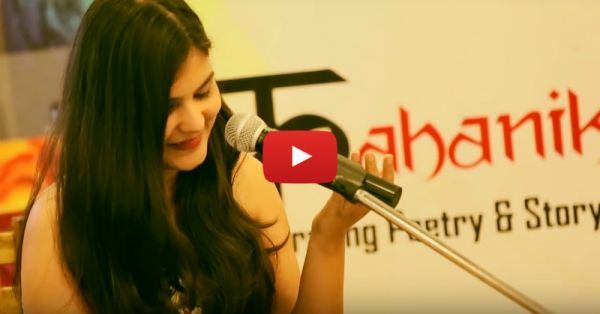 Shikha Singh recited a poem called “Alsai Dupheri Ke Keede” and let us tell you, we totally relate to it! It’s hilarious, it’ll tickle you and make you say “that’s me AF!” So if you’re a girl who loves those afternoon naps, this video is for you! Watch it, we’re sure it’ll make you smile... Also watch: Dear World, Please Watch THIS. Sincerely, Introverts Everywhere.